About ZS Profit Solutions, Inc.
At ZS Profit Solutions, Inc., we use our unparalleled training as a Certified Tax Coach to save successful small business owners, entrepreneurs, doctors, and professional athletes thousands of dollars in taxes every year. We know how to identify special tax credits, uncover hidden deductions, and leverage little-known loopholes to significantly reduce your tax obligations so you pay less taxes. Zahra Hedayat is an accomplished Accountant, Tax Coach, and Business Owner whose unwavering reliability, integrity, and creativity have all earned her the reputation as a strategic industry leader. Throughout the course of over a decade, she has garnered extensive accounting, bookkeeping, and tax auditing experience, helping an array of different businesses save money on their taxes along the way. As a seasoned Certified Tax Planner, she is well-versed in detecting credits, deductions, and often overlooked loopholes, as well as implementing proven tax reduction strategies. Both dedicated and equally results-driven, Zahra is on a mission to maximize every client’s profits and ensure they retire stress-free so they can focus on what matters the most: running their business, whether it’s a medical practice, startup, large company or anything in between. 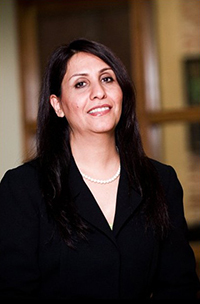 In addition to obtaining her Master’s of Business Administration degree, Zahra Hedayat is an enrolled Agent, Certified QuickBooks Pro Advisor, NTPI Fellow, and Certified Tax Coach. She is also multilingual in three languages and taught accounting at ITT Tech college. Moreover, she participates in continuing professional education in order to further hone her proactive tax-planning expertise and stay up-to-date with all tax trends.